The specs for this $200 million machine defy comprehension. 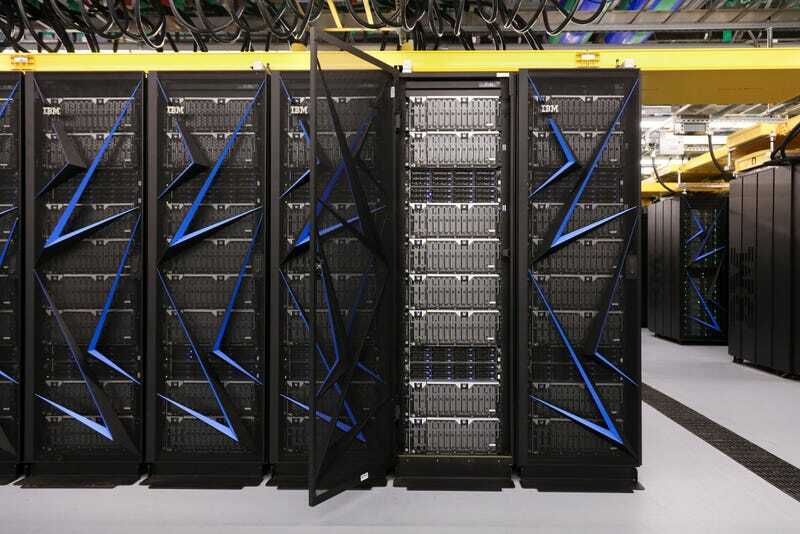 Built by IBM and Nvidia for the US Department of Energy’s Oak Ridge National Laboratory, Summit is a 200 petaflop machine, meaning it can perform 20 quadrillion calculations per second. That’s about a million times faster than a typical laptop computer. As the the New York Times put it, a human would require 63 billion years to do what Summit can do in a single second. Or as stated by MIT Technology Review, “everyone on Earth would have to do a calculation every second of every day for 305 days to crunch what the new machine can do in the blink of an eye." Summit and machines like it can be used for all sorts of processor-heavy applications, such as designing new aircraft, climate modelling, simulating nuclear explosions, creating new materials, and finding causes of disease. Indeed, its potential to help with drug discovery is huge; Summit, for example, could be used to hunt for relationships between millions of genes and cancer. It could also help with precision medicine, in which drugs and treatments are tailored to individual patients.